If you’re anything like me, then chances are good you’ve not seen many movies like Precious. Oh, you may think you’ve seen one too many movies about underprivileged young people from bad homes who deal with multiple hardships but who find the strength to persevere despite all the odds being stacked against them, but I’ll bet those movies didn’t move you like Precious moved me. Believe the hype; this is one great film. 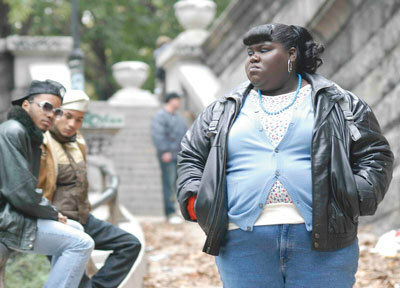 In Precious, Gabourey Sidibe stars as the title character, 16-year-old Claireece Precious Jones, who lives with her abusive mother (played by the comedienne Mo’Nique) and is pregnant (for the second time) with a child fathered by her own father. To say life is hard is an understatement; at one point, Precious says she wishes she were dead, and that it wouldn’t be much of a change for her because she’s already used to being so far down and looking up at the world. When she’s thrown out of her school, Precious enrolls at an alternative education center, where her teacher (played by the beautiful Paula Patton) and classmates show her the love and guidance she’s never had, and help put Precious on the road to redemption. The film is marked by some super performances: Sidibe, in her film debut, gives a heartbreakingly natural performance of such subtlety that you’ll think she’s not acting at all. Mariah Carey, as a social worker, is impressive and real and nearly unrecognizable. Lenny Kravitz, as a nurse, is charming and great. Patton is more than just a pretty face; she shows depth and feeling, and turns the saintly role into something more well-rounded. And Mo’Nique … What can one say about this performance? Mo’Nique’s character is perhaps the purest definition of evil that we’ll see on screen this year. She’s one of the worst on-screen mothers of all time. And Mo’Nique is so good in this role that it’s hard to believe she makes a living telling jokes. It’s a career-changing performance, and it will leave you in awe. Near the end, both Mo’Nique and Sidibe get the chance to deliver devastating lines of dialogue that will have you tearing up. Bring your tissues to this one, my friends. Even the hardest hearts will be affected by what they see on screen. 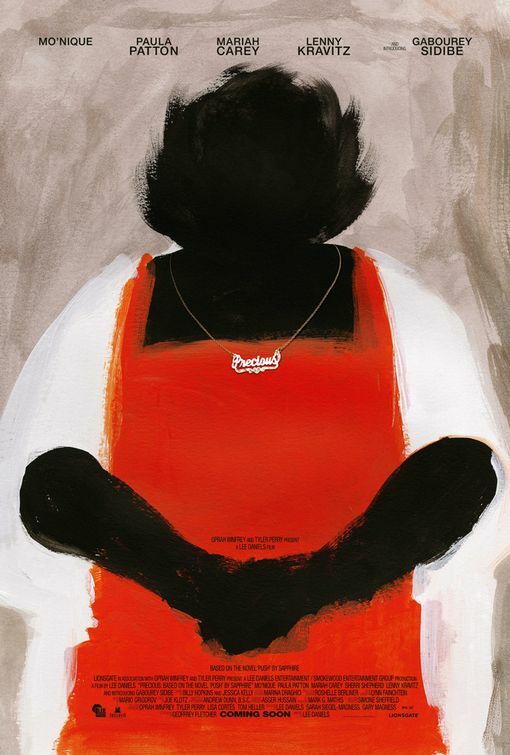 Adapted from the 1996 novel Push by Sapphire, Precious was written by Geoffrey Fletcher and directed by Lee Daniels, and it is a raw and unflinching portrait of a young girl with very little going right for her. Yes, there’s hope to be found, but there isn’t a sappy happy ending here where everyone smiles and the music swells. Precious is hard to watch and it isn’t pretty, but it’s well worth seeing. I’m giving the movie an A–. ← Does John Mayer Read Martin’s Musings?